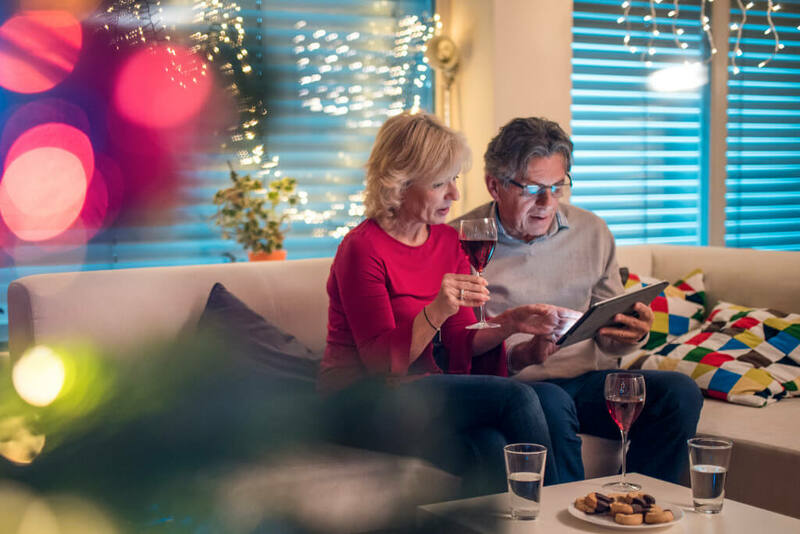 As if the season wasn’t hectic enough, this is the time you need to make sure that you do everything you can to minimize your 2018 tax burden. Below are four key end of year tax strategies to help you keep more money — including information on new tax rules and how the tax planning process has changed in 2018. YEAR END TAX ADVICE #1: Don’t Overlook Required Minimum Distributions (RMDs)! Don’t forget to take your RMDs! However, Fidelity Investments reports that the majority — 61% — of their account holders who are older than 70 1/2 have not yet taken their Required Minimum Distributions (RMDs). If you’re 70 1/2 or older and have a traditional IRA, the IRS requires you to take a certain minimum amount from your account each year – and if you don’t take enough, you’ll be slapped with a huge tax penalty. Tax-deferred retirement savings accounts such as traditional IRAs and 401(k)s give you a handsome tax break right up front: the money you contribute to these accounts is deducted from your taxable income. Unfortunately, the IRS’s generosity has limits. When you take money out of your tax-deferred IRA or 401(k), you have to pay taxes on those distributions. If you were to simply leave the funds in your account forever, perhaps bequeathing it to one of your children, then the government might have to wait indefinitely before it sees a penny of taxes on that money. That’s why the IRS instituted a rule that once you reach age 70 1/2, you must start taking distributions. Your RMD for the year is based on your age and on the balances of your tax-deferred accounts. As you age, you must withdraw a larger proportion of the remaining balances, so amounts may go up or down year to year. The NewRetirement retirement planner automatically accounts for RMDs for all of your wealth projections. Starting at age 70.5, the calculator estimates required minimum distributions based on IRS Publication 590-B. However, you need to really do it in real life — every year! The IRS provides two worksheets to help you calculate your required minimum distributions. Most retirees will use the default RMD worksheet; if your spouse is the sole beneficiary on your IRA and he or she is more than 10 years younger than you are, use this RMD worksheet instead. In order to calculate your RMDs for the year, you’ll need to know the balances on all your traditional IRAs as of December 31 of the previous year. You can find this information on your IRA provider’s end of year statement; if you no longer have that document, call the IRA provider and ask for another copy. Note that you shouldn’t include the balances for any Roth IRAs in this total; Roth accounts are exempt from RMDs. Once you’ve found all your IRA balances from the end of last year, add them up and write down the total on line one of your RMD worksheet. If you’re using the default worksheet, you’ll need to look at the table at the bottom of the worksheet and find your “distribution period,” which is the IRS actuary’s estimate for how long your retirement will be. Find your age on the table, then write the number from the distribution period column on line two of the worksheet. If you’re using the younger-spouse worksheet instead, you’ll use a different table to find your distribution period: one that combines your age and your spouse’s age. Find your spouse’s age in the first row on Table II, then find your age in the column on the far left side of the table. The box where your age and your spouse’s age intersect is the number to use for line four of the RMD worksheet. You may have to scroll down quite a bit, as Table II is very long and is in separate parts. Finally, divide your total IRA balance by the distribution period number and the result is your required minimum distribution for the year. For example, if you had $800,000 in your traditional IRAs on December 31 of last year and the distribution period for your age is 26.5, your RMD for the year would be $30,188.68. If you have more than one traditional IRA, you can divide the minimum distribution out over your IRAs as you prefer. For example, you could take it all from one IRA, split it up evenly between your IRAs, and so on. But what if you don’t need $30,188.68 this year? Too bad – you still have to take at least that much in distributions or pay a penalty of 50% of the amount you failed to take. If the retiree in the above example only took $20,188.68, then he’d owe a penalty of 50% of the $10,000 he didn’t take, or $5,000. Unfortunately, even if you do take the correct RMD, you’ll still have a tax penalty of sorts – you have to pay income taxes on the entire distribution. That’s why it’s important for retirees to do what they can to reduce their overall tax burden – doing so helps you to counteract the extra income taxes your RMDs may generate. This year, you will likely pay the lowest tax rate of the rest of your life. Tax rates are scheduled to increase starting in 2019. In 2018, tax rates go from 10% for the lowest earners to 37% for the highest. Visit the I.R.S. to see the specific tax rates for single, married filing jointly, married filing separately and head of households. Deductions in 2018 are very different from before. The standard deduction has increased. You will likely want to use the standard deduction if you are single and have total itemized deductions of $12,000, $24,000 if you are a couple (married, filing jointly) or $18,000 for heads of households, unless your itemized deductions exceed these levels. However, Personal Exemptions – an additional amount you could deduct for each member of the household – are no longer available. Whether you itemize or take the standard deduction, many deductible categories have been capped or eliminated. Taxpayers taking the standard deduction can not itemize deductions for charitable gifts, home mortgages, state and local taxes and more. Those that do itemize have new limits, such as the $10,000 cap on SALT (State and Local Taxes), which greatly reduces potential deductions for many. And, even if you are itemizing, you won’t be able to deduct tax prep fees, investment expenses, moving expenses and some additional things. Exemptions for the Alternative Minimum Tax (AMT) have been increased to $109,400 if married filing jointly and $70,300 if you are filing as a single taxpayer, and now start to phase out when income exceeds $500,000 for individuals and $1 million for couples. However, fewer taxpayers might be subject to the AMT since many of the most common AMT adjustment items have been reduced or eliminated. The most basic and powerful way to cut your taxes is to cut your taxable income. You can do so in a number of ways: find sources of nontaxable income, use deductions to remove income from your taxable total, grab any tax credits you qualify for, and so on. Here are a few specific examples. If you didn’t contribute to a Roth account during your working years, it’s not too late – you can take some of the money from your traditional IRA and put it in a Roth IRA instead. Not only does that turn the money you moved into nontaxable income, but it also helps to reduce your RMDs by lowering the balances in your traditional IRAs. However, there’s one big catch: when you do a Roth conversion, you have to pay taxes that year on the money you moved to the Roth account. If you have a huge balance to convert, you may not be able to afford to do it all in a single year. For example, if you’re single and you decide to shift $500,000 from your traditional IRA into a Roth IRA, doing the entire conversion in one year would put you into the top income tax bracket and would generate a $153,818.85 tax bill on that money alone! On the other hand, splitting the conversion out over five years would reduce your annual tax bill for the converted money to $20,971.75 and would reduce the total tax bill for the conversion to $104,858.75. And if you spread the conversion over 10 years instead, you’d cut your annual tax bill on the converted money to $8,238.75 and would reduce the total tax bill for the conversion to $82,387.50, a mere 16.5% of the balance (note that all of these examples are based on the 2017 income tax brackets; changes to the tax brackets for future years may alter your results). TRY IT OUT: Are you curious about how a Roth Conversion will impact your finances? You can model a Roth Conversion in the NewRetirement retirement planning calculator. Log in and go to the “Savings and Assets” page in Your Plan. Simulate the conversion, then look closely at your cash flow and net worth at different points of time to assess whether this might be a good move for you or not. Special Note for 2018/19: Because of the Trump tax cuts, 2018 may be a particularly good time to do a Roth conversion. Your 2018 tax rate may be the lowest you will see for the rest of your life since tax rates will start adjusting for inflation next year. If you sell investments that aren’t tucked away in a tax-advantaged retirement account, you’ll have to pay capital gains taxes on the profits you made from those investments. However, if you sold any investments at a loss during the same year, you can wipe out those gains for tax purposes and avoid paying the related taxes. This approach is known as tax loss harvesting, and the new tax laws did NOT change the rules for this. Tax loss harvesting allows you to get rid of your loser investments while profiting a little from the transaction. In fact, if you have more losses than gains, you can use the extra losses to erase up to $3,000 of other taxable income (including the distributions from your traditional IRAs). Because the threshold for deductions on medical expenses and charitable donations is higher, you may want to consider bundling those expenses into certain years and only claiming them every two or three years. Max Out Medical Expenses: By grouping as many medical expenses as possible in a single year, you can maximize the deduction you get for those expenses. In 2018 you can only deduct expenses which exceed 7.5% of your adjusted gross income. If you’ve already had some significant healthcare expenses for the year, see if you can move medical expenses that you’d normally take next year to the end of this one. For example, if you have a dentist appointment in January, move it to mid-December instead. Charitable Donations: Instead of making annual charitable gifts, give 2, 3, or even 5 years’ worth of donations in a single year, then take a few years off. Focusing all of your donations in a single year increases the value of deductions beyond threshold for a single year, and then take the larger standard deduction in the “skip” years. A Donar-Advised Fund (DAF) may be an option if you are bundling charitable expenses. Per Fidelity, “A DAF may allow for tax-deductible contributions of cash or appreciated assets in a given year, but then control the timing of the distributions to charity in future years.” This is probably a strategy you will want to discuss with a financial advisor. So, it may be worth keeping your income levels below these thresholds. Still Working? Max Out Your Tax Advantaged Savings! $18,500 for 401ks, 403bs, 457s as well as Thrift Savings Plans. And, if you are 50 or older, the catch-up contribution is an additional $6,000. So, you can save a total of $24,500! $5,500 for IRAs. And, the catch-up contribution for people 50 or older is $1,000. So, you can save up to $6,500 with tax advantages. And, remember that you can max out both kinds of savings vehicles — and throw in a Roth account too! Thinking of Relocating in 2019? Consider the Best States to Retire in for Taxes! 529 plans provide federal tax-free growth and tax-free withdrawals for education expenses. Additionally, there may be state tax credits or deductions for your contributions to these plans. However, consider carefully about when to tap this resource. Allowing the money to grow in the tax-deferred account produces greater tax savings rather than withdrawing it now. When you’ve got a lot of financial balls in the air, your tax return can get remarkably complicated. This is especially true if it’s the first year you’re taking a required minimum distribution. In that case, strongly consider getting a tax pro (a CPA or enrolled agent, not an uncertified tax preparer) to do your return for you. Not only will you know that you’re getting every possible tax break, but you can even deduct the tax preparation fees from your next year’s return! A certified financial advisor is another great resource for year end tax advice! Look for one that specializes in retirement planning. NewRetirement Advisors are a low cost option that uses the power of technology to deliver better advice. Let us help you figure some of this out. See how RMDs and tax optimizations impact your retirement plan. Help for Seniors with Low Income: Government Benefits and More! Is $58,000 the Amount of Annual Retirement Income You Need for a Happily Ever After?